Creative, seasonally driven dishes inspired by the mountain cuisines of France, Italy, Switzerland, Austria, Germany and Slovenia. 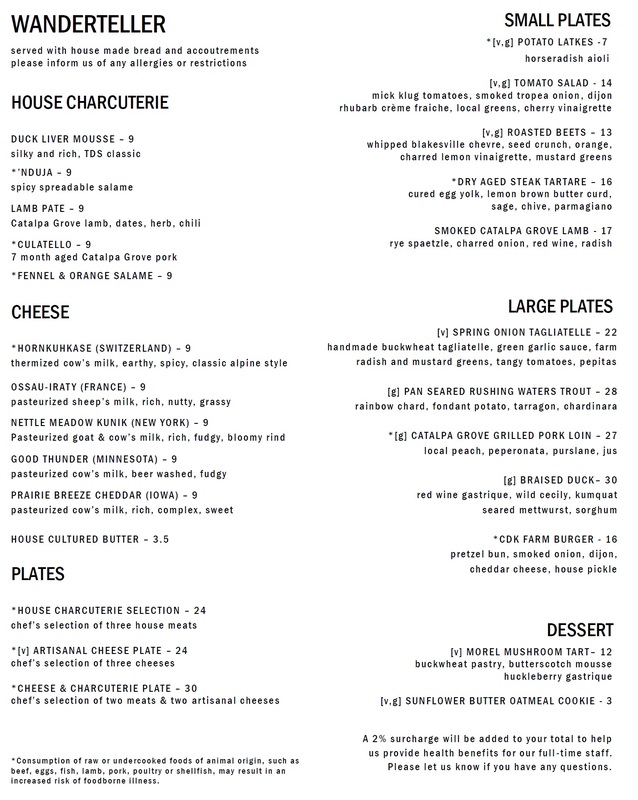 The menu includes a rotating selection of chartuterie and artisan cheeses. The kitchen works with local farmers and whole animals whenever possible, and all breads and charcuterie items are made in-house.